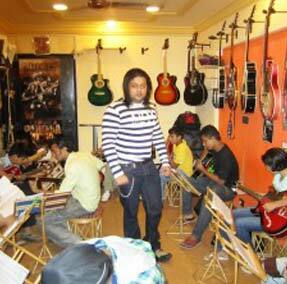 Since we opened in 1998, Guitar Hall Boutique has come to be known as “The Best Little Guitar Store in Mumbai City”. At Kiran Roy’s Guitar Studio the same legacy carries on.We believe in connecting musicians with the gear they need to express themselves. We also believe in industry-leading services and value. 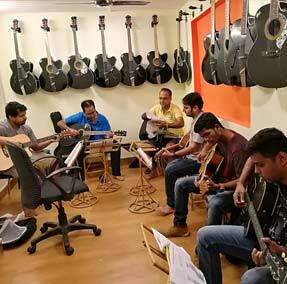 Our guitar store, full to the brim with the best acoustic guitars handpicked by professional musicians. 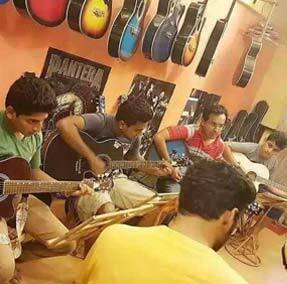 Carrying an experience of more than 2 decades , we are apt at understanding the musical needs of the guitarists and keep our stock decked up to meet the requirement. Being professional musicians ourselves, help in discerning the quality easily and helps us in precise quality checks. 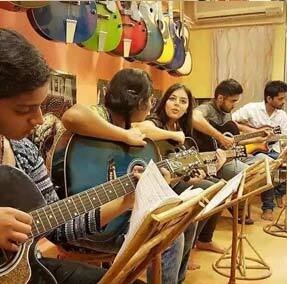 At Kiran Roy’s Guitar Studio, we don’t just deal in music we live it and breathe it. We are musicians ourselves, and we use the brands you find at our Store every day in our own bands, practice rooms, and recording studios. You won’t get any high-pressure sales tactics from us – but you will get honest, impartial advice which only professional musicians living this life already can give. We’re not brand-driven- we are performance-driven, so we won’t try to sell you on one brand over another if it isn’t the right option for you. Our goal is your total satisfaction. If you’re not satisfied, neither are we. At our store, you’ll find a large range of the best brands. Playing an instrument is a personal and enjoyable experience and we believe that buying an instrument should be personalized and enjoyable as well. That’s why our service is designed to be easy, convenient, personalized and informative so that you can actually enjoy the shopping experience of buying a guitar as much as you enjoy playing it. Our passion for excellence and commitment to offering high quality musical instruments at great value has attracted many repeat and new customers. Customer service and satisfaction is also our top priority whereby we place heavy emphasis on after sales support. Our customers have faith in our products and we feel that it doesn’t make sense if they could not make full use of the products and get the most out of it.